This is one of your typical xianxia, where th MC is constantly underestimated and trash talked, leading to the MC beating said trash talker up. Although many xianxia are also like this, this novel takes the arrogance to a whole new level. It's like there are two protagonists called lin feng in this novel and I missed one. The only good thing about this series is its amazing translator. You will encounter the typical xianxia fan service where the main character is provoked by arrogant idiots who underestimate his powers, and he will then kill them on the spot after a long duel where the the audience can fully appreciate how wrong they were to think he was weak. Afterwards he will be accused of being too ruthless by the family/clan/sect of his... more>> dead opponent, and he will answer with a brilliant speech that will make the crowd weep in awe. He then powers up so as to take on said family/clan/sect and start again. I've read every xianxia on novel update, and what makes this novel especially terrible in my eyes is the hypocrisy in the story-telling. Indeed, the actions of the MC are those of an arrogant aggressive cultivator. He walks around in tattered cloth, hiding his true strength and disrespecting hierarchy. How many time would he only have needed to disclose his cultivation level to be left alone as he claims he wishes? Hell, even his name is now enough to avoid trouble, most of the time. He never does, and I could be alright with that since the core of this novel is, after all, "underestimation fan service". Who am I to judge? 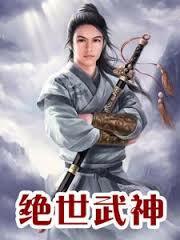 I've read great novel with an arrogant battle maniac protagonist. Just please stop writing "He is.. They understood he is... She saw that he actually was... Despite all that he is... But he is" followed by a selection of the following words "caring, humble, extremely humble, righteous, his hand was forced...". The main character is an endlessly arrogant and proud warmonger in the way he acts and speaks to his foes, and you cannot pretend he is a good person by adding a random "His opponent had deserved it but lin feng actually is a good righteous person IRL". Every chapter that includes a random description of him as a ruthless yet humble character brings me a step closer to my grave. Sigh, I had hopes. Those hopes died a few weeks ago. Bored and repetitive. It’s like if Superman didn’t bother with character development and losses and instead just kept repeating that the guy saved people every issue. Traditional Xianxia is not about killing, btw... Very few of these xianxias are actually xianxias anymore. They're just basically "my anti-hero is more badass than other anti-heros. His death count is blah blah. He'll be an immortal hero just cause I want him to be." this plot I read it twice. And when skip to chapter 200, this plot appear again. It's entertaining. But the problem is that the plot gets repetitive. An enemy provokes MC thinking he/she is more powerful and when MC defeats him, there will be a repetitive dialogue like " you provoke me, it's okay, and I beat you up, it's not okay " and so. Pretty interesting when you first read it, but gets boring as you go on. Like everyone has said: everybody and their grandmother act like a douche here. The same thing happens over and over and over and over and over again. Lin Feng is doing something then a douchebag come and disturb him. Lin Feng punish them. Repeat 100 times. And its not like the dialogue between the douchebags and MC is good like ATG or ISSTH either. Its pretty bland. The only good thing about this light novel is the translator is translating at the speed of light. Your typical cultivate and face stronger enemies type of series. Great nonetheless and I would gladly recommend. I actually enjoy this series, even with a very, very familiar plot... If you seek action, a few jokes every so often and a main character who will offer mercy sometimes... Even though he's ruthless. Confused yet? Prepare for an adventure for this series is actually fairly good.